"Ladies and Gentlemen, it's time to dance on the air!" When we consider the work of the Hummert Radio Factory, we are usually thinking first of the Soapy Washtub Weepers, the Kiddie Adventure Serials, or Detective Whodunits. By one estimate, more than half of the radio industry's advertising income in the '30s and '40s was generated by the Hummert's company, Air Features, Inc.
What we forget is that about a third of the Hummert features were old time radio music programs. Although their busy schedule kept them from enjoying many live performances of orchestral music or opera, (at least until after Frank's death and Anne's retirement) they kept in touch with the music scene through recordings and radio. 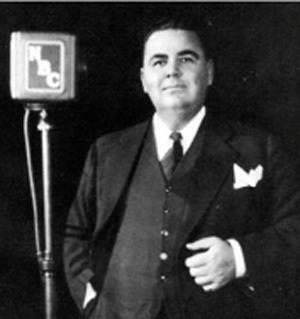 Waltz Time features tenor Frank Munn, "the Golden Voice of Radio", and the Abe Lyman Orchestra. 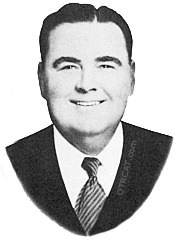 Before his sudden retirement in 1951, Munn kept a busy schedule, Sunday nights on the longest running Hummert musical effort, The American Album of Familiar Music, Tuesday or Wednesday on American Melody Hour, and Friday night on Waltz time. The Hummert Music shows followed a set formula, pretty standard "Orchestra and singer stuff". However the music is always well done and enjoyable. Waltz Time had an unbroken 15 year stay on the air, sponsored by Phillips Milk of Magnesia. The ads are cut from many of the surviving recordings, which were modified for play over AFRS. The tunes are standards from the classics and semi-classics, in addition to show tunes. See also: American Album of Familiar Music. Be the first to comment on "Waltz Time"